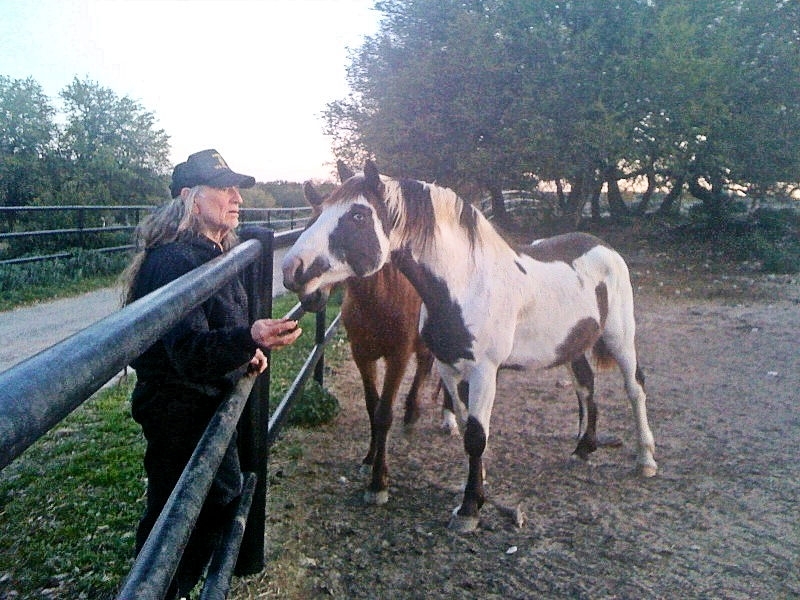 Willie Nelson is a famous American singer, actor, songwriter and producer, but above all he is an animal lover. The 86-year-old recently rescued 70 horses from slaughterhouse and gave them a second chance to live. Those beautiful creatures can now roam freely at Willie’s property, Luck Ranch. Whenever he’s not on the road, or raising money for American farmers as co-founder of Farm Aid, the country singer is spending time on his Texas farm, where he admires his beloved horses. Nelson told ABC News in a recent interview that his ongoing rescue mission is part of the reason why he named his 700-acre Spicewood farm “Luck Ranch”. “When you’re here, you’re in Luck, and when you’re not, you’re out of Luck,” he said. Willie and Mr Mister (head of road security) will take a well deserved break for a few days. See you in Florida on March 1st. “My horses are probably the luckiest horses in the world. They get hand-fed twice a day, and they were just ready to go to slaughter – is probably the last thing they remembered, so they’re happy horses,” Nelson declares. The music legend has a fond of horses since he was just a teenager and it looks like this love for animals has been passed on to his kids, too. His daughter, Amy said many times she’s an animal lover since she grow up the majestic animals in The Love Of Horses, UNILAD reports. Lukas, Willie’s son is a supporter of Saving America’s Horses and Habitat for Horses, just as his father.